Robotic landing. Crew Landing. ISRU. Lunar Base. 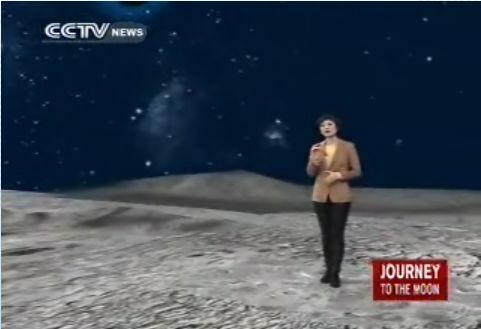 CCTV-10 has a cool set. Now I think that countdown is for this engine firing. https://play.google.com/store/apps/details?id=org.fungo.fungolive - Good streaming (Yes, the menu's all in Chinese, but you can navigate your way through to select the channels nonetheless). Stops to buffer every minute or so though. Blue are NASA landing sites. Red are the Russians. "I took this photo of the landing site from a telescope at my home". Stopping 4 m above surface to avoid dust. What's Chinese for "picking up some dust"? 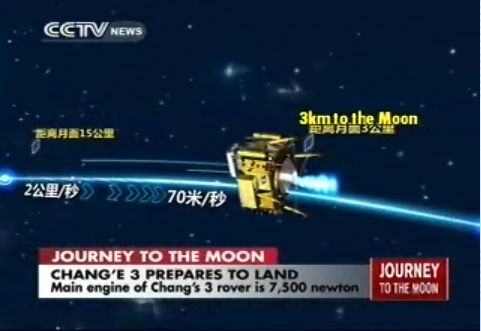 Original plan was to start from 200 km orbit. Discussing landing sequence and soft landing. Human intervention can happen any time during landing. 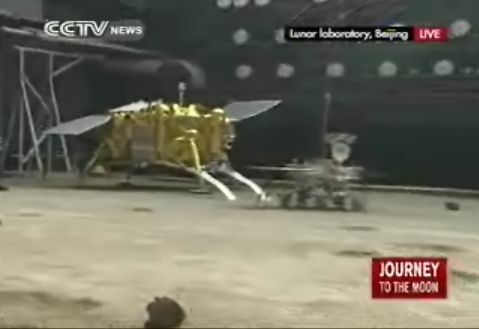 [20:29] After Chang’e 3′s successful landing, BACC will discuss whether the rover and the lander will separate immediately. 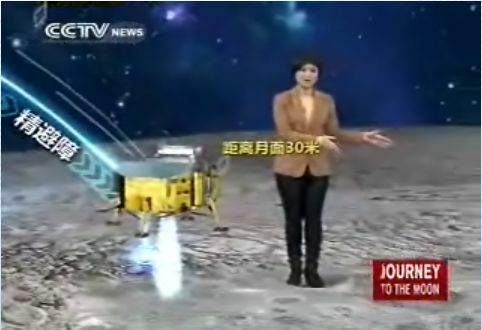 Even so, the Yutu (Jade Rabbit) rover will take a few hours to move out of the lander and appear on moon surface at 6:00 am on Sunday. 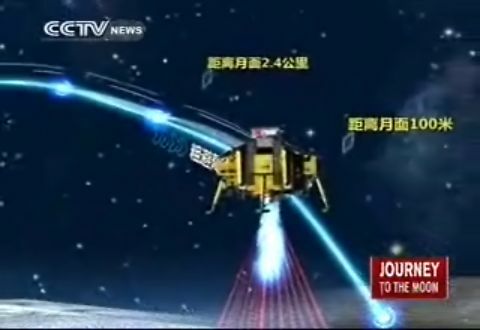 [20:28] Currently, staff at BACC are making final preparations to confirm Chang’e 3′s all parameters, including its flight speed, actual time and location of the lunar impact. 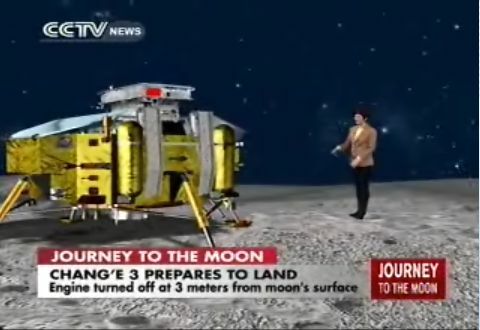 [20:26] Zhou Jianliang, deputy chief engineer of Beijing Aerospace Control Center (BACC), said on Saturday morning that Chang’e 3 is scheduled to ignite the rockets at 9:00 pm to start the soft-landing process. He added the process will take 12 minutes. [20:23] The entire process of soft-landing will last 12 minutes and it will be performed by the probe itself, with “practically zero” chance of manual intervention being required. The Chang’e 3 mission has so far proceeded as planned.